I caught this from Paul D. Anderson, apparently Darren Rovell had it as well; the NFL and the NFLPA finally agreed on neurocognitive benefits for NFL players as part of the 2011 collective bargaining agreement. Obviously this was long overdue, but it is now a done deal. You can read the nuts and bolts on Anderson’s blog HERE. In order to receive the benefits, the player must sign a release promising not to sue the NFL. In other words, if a player accepts the benefits he cannot join the NFL concussion lawsuits. Stated differently, if a player is currently a plaintiff in the concussion lawsuits, in order to receive the benefits, he will likely have to dismiss his lawsuit. The release will not waive any future workers’ compensation claim he may have against a team. The plaintiffs in the concussion lawsuits, that played after 1994, have a decision to make: should I accept the benefits under this plan, or should I continue to purse my claim against the NFL and hope that it will be successful? Of course, the plaintiffs’ lawyers in the concussion lawsuits are likely advising their clients not to pursue these benefits (perhaps out of self-interest). But, the reality is, there is absolutely no guarantee the concussion lawsuits will be successful. If a player is suffering from a neuro-cognitive disorder, then he shouldn’t wait around for the lawsuit to run its course. It will likely take years for the lawsuits to be resolved; during that time several players may have already missed their opportunity to file a claim because they reached the age of 55. A player needs to make an informed decision and most importantly consider his health and financial situation. A player likely will not have to dismiss his lawsuit until he qualifies for the benefits, at which time, he can weigh his decision: take the benefits or proceed against the NFL in my concussion lawsuit. Again, I applaud the NFL and the NFLPA. I am hopefully optimistic that this is a step in the right direction to ensuring players are able to have a quality life after retirement. However, if history is any indicator, the Disability Board may be quick to deny claims – but I hope that will not be the case. Another, perhaps overlooked part of the agreement is that if a player is receiving or wants to receive line of duty benefits (those are orthopedic settlements) you cannot have both. So, it is one or the other, your body or brain. In which I am in full agreement with Paul here, this makes absolute no sense. Players can have both, make that most likely will have both ailments upon retirement. 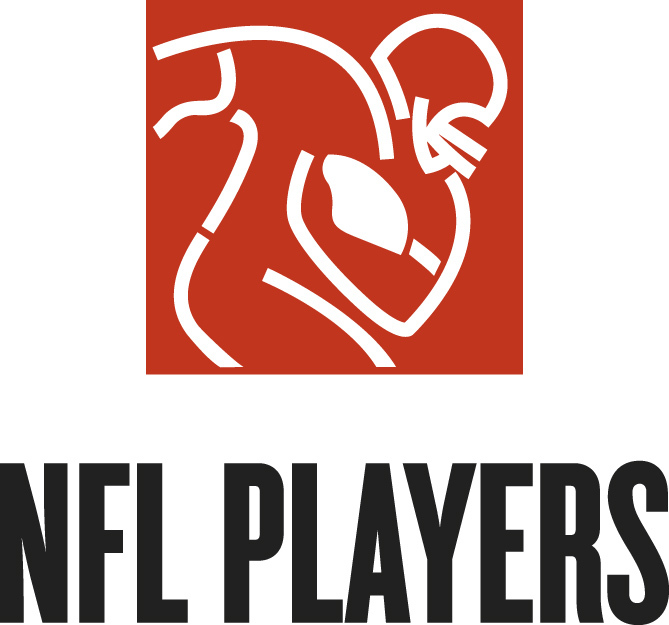 Now the league – and really the NFLPA by agreeing to it – has said that you have to pick one. At the end of the LINK, Paul has posted the exact language for the waiver to sue the NFL, you can check it out there. Sounds like a PR job to me. Make an injured player pick between the quick and sure Line-of-Duty benefits, or roll the dice on the lawsuit. BUT make sure in order for the player to actually get that dangling carrot of LOD benefits, they sign off on the lawsuit. And lets also exclude any of us players who have suffered documented neuro-cognitive damages prior to 94. Of course I’m sure they will question whether my 9 NFL caused emergency VP Shunt brain surgeries (proven in a Work Comp trial I was forced to endure just to get brain surgeries #2 & #3 paid for), and my 30 years of gran mal seizures are enough documentation. Here’s your documentation NFL/NFLPA. This appears to be an illusory benefit, put into the CBA to let the public and Congress think that the NFL and NFLPA were doing something to help guys suffering from concussions. IN addition to the covenant not to sue, the eligibility criteria are very restrictive – under 55, vested, and not on other benefits. This would most likely leave someone who is still working, who hasn’t taken his early pension, and has a medically determinable cognitive deficit. I find it hard to imagine that someone can sustain normal work activity with such an impairment. 2- precise evaluative and evaluator criterion have yet to be determined. A meaningful contractual plan should clearly define ALL essential terms to reduce / minimize wiggle room from potentially unscrupulous individuals who may wish to deny presenting claims and corresponding benefits. 2- requiring a thorough neuro-cognitive assessment by qualified and free from Conflict of Interests (COIs) health care professionals within an interdisciplinary framework. Sadly, I have witnessed the terms mild concussion and mild stroke being applied to presenting health care conditions. The corresponding adverse effects of these respective debilitating conditions are far from just being mild to the diagnosed individual’s functioning within daily life, including the areas of gainful employment and family relationships. Thus I would also urge that ALL potential physical, cognitive and emotional symptoms be included in the operational definitions to assure meaningful coverage of ALL POSSIBLE brain related injuries. Finally, I presently provide psychological services to individuals diagnosed with Alzheimer and dementia and whom reside in long term health care facilities. The proposed contractual monthly money allotment falls inadequately short in paying a month’s residential expense in a long term facility. Excellent observation. But your insightful comments rightly hinge upon an assumption that they want this benefit to actually be “meaningful”! I will tell you how meaningful the NFL/NFLPA benefits are. I played for the 49ers in 80 & 81. During the 81 Super Bowl season I developed hydrocephalus and underwent emergency VP shunt brain surgery. Four months after our Super Bowl XVI victory, my shunt failed, I was brought to the hospital in a coma and had 2 more brain surgeries 10 hrs apart and was given last rites. I was also given the hospital bills by the 49ers and fought creditors for several years till I successfully sued for WORKERS COMP. Just to get my bills paid. During my years of battles I turned to the NFLPA but they were nowhere to be seen. I have now survived 9 emergency VP shunt brain surgeries, several gran mal seizures but still don’t qualify for their so called Neuro Benefits. Its all a PR job. The NFL know their tail’s in a ringer with over 4,000 former players or surviving family members suing over head injuries they covered up. I played a game against the Cowboys in 1980, where I was concussed on the first play of the game, was administered over 20 smelling salts during the game by the team doctor and trainers to keep me on the field, yet I never missed a play or practice (see link below of the play). I was laughingly told this by the trainers later in the week when my memory returned. I still have no memory of even playing in the game. I was 22 years old when I underwent my first brain surgery and this nightmare began. My family’s lives have never been the same. The NFL/NFLPA is putting on this spin to protect their $9.5 BILLION cash cow. A cow that’s excepted to grow to over $20 billion in the next 10 years. I concur with your perspective. I am very sensitive to your perspectives. and I think his ‘ proverb ‘ may easily apply to what you are voicing in your reply. Some of the ‘essence’ of the present NFL-NFLPA “contract in progress” issues seem to be similar to numerous unresolved issues/concerns voiced by Mike Moore during 1982 in a corresponding NFL-NFLPA article he authored that appeared in The Physician and Sport Medicine. I have commented on this now 30 year old article, in previous blog postings and in my 2004 dissertation..
Will history again repeat itself as you have suggested, George ? Time will tell ..
as some individuals believe the best predictor of future behavior is past behavior. Below are some further thoughts re the contents of the Neuro-Cognitive Disability Application. Obviously other issues exist such as concern re signing off on pending lawsuits. and that clear examples of such symptoms that lead to corresponding diagnoses be provided within the application / contract. 2- All possible / acceptable neuro-cognitive symptoms / impairments should be listed and clearly defined within the contract /application. This comprehensive list is recommended to ensure there is no misunderstanding of such terms that are deemed allowable symptoms / impairments under the contract / application. 3- All the plan’s current Medical Advisory Physicians and neutral physicians be listed in writing by name, educational background and specialty / specialties upon graduation from medical / graduate school. Furthermore, conflicts of Interest should be acknowledged / denied by each evaluator. When any additions in the Medical Advisory Physicians and / or neutral medical evaluators occur, the corresponding educational and training information of the newly appointed doctor should be available in writing and within the application / contract. Again, conflicts of Interest should be acknowledged / denied by each evaluator. 4- The plan should include and clearly define and discuss all possible procedures, tests, assessments, observations, and any other measures of information that are allowed to be included and utilized within a neuro-cognitive medical exam and / or a neuropsychological assessment. 5- Written reasons why the Medical Advisory Physician and / or neutral medical evaluator did not utilize certain evaluation approaches within the overall assessment and corresponding interpretation of findings should also be clearly provided within the context of the clinician’s evaluation report findings.